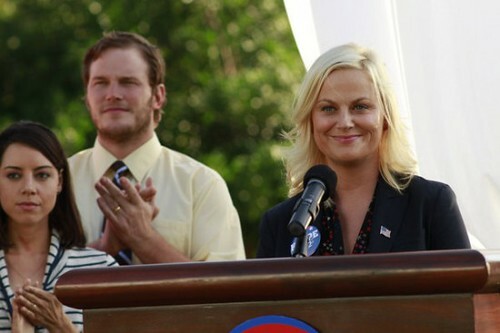 Quick Take: Parks and Recreation, "End of the World"
Review: Parks and Recreation, "End of the World"
(S0406) In light of the recent end of the world nonsense in the real world, I was extremely happy to see how this episode began. Not only is a crazy defunct cult predicting the end of the world in less than 24 hours, but Tom's (Aziz Ansari) world has come to an end as well, with the dismantling of Entertainment 720. Of course, Ron is on board with the Zorpers. If there is a way to make a bundle of cash off of somebody's insane religious beliefs, then I say do it. I only hope Ron gets up early enough to cash that check before they realize what happened. I find myself laughing out loud more and more at Parks & Rec. Not just because Amy Poehler and the rest of the cast are brilliant comedians and not just because the dialogue borders on ridiculous without going over the line but because in the middle of all that makes the show hilarious there is a reality that I can relate to. Whether it's Leslie (Amy Poehler) and Ben's (Adam Scott) awkward attraction to each other or Andy (Chris Pratt) and April's (Aubrey Plaza) young, stupid love, it all has a basis in reality that most of us can recognize. This episode also had some great guest stars. Natalie Morales returning as Lucy was a welcome sight. It's no surprise that Tom knows how to throw an awesome party. If he can just find some way to make that into a business and get Lucy to help him run it. Hmmm. I also loved Robert Pine as the cult's spokesman. Was it an accident that he was discussing the idea of infinite diversity in infinite combinations and his son (Chrs Pine) plays Captain Kirk or am I just being too much of a Trek nerd? 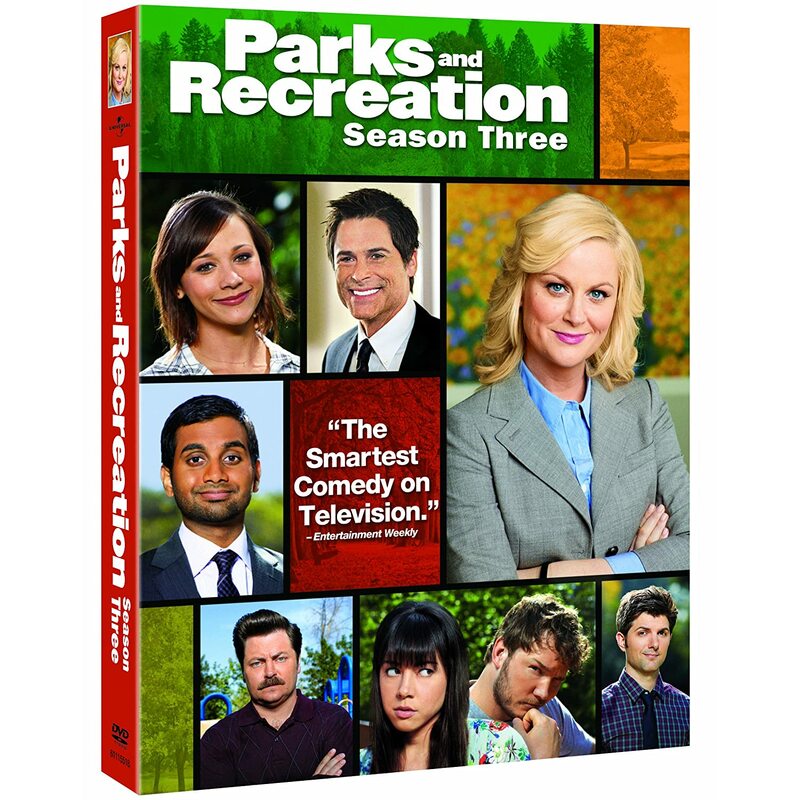 I don't know when P&R became one of my favorite sitcoms but I'm glad it did. Hail Zorp! Totally agree and great point about how the characters are clearly "heightened" but do live in a real and relatable world. So you take that and add in superior comedy writing and great chemistry and performances, and you have rare gem on your hands. Haha nothing like a party with drumlines, a tiger and a bouncy ship that's not for a child's birthday haha. Glad to see Lucy show up, too, even if if Jean-Ralphio invited her without the noble motive that Tom that he had...but yeah, basically the End of the World Party ruled (watch a video clip of that scene at http://vimeo.com/31699074 ). Gotta love that they used "Dancer In the Dark" by Dev and glad it got Lucy in the mood to dance. Her chemistry with Tom is great, I hope they figure out a way to write her more into the show.